Summer might be drawing to a close but that’s no reason to put your wellies and gardening gloves away. In fact, it’s just as good a time as any to encourage your little ones to help you out in the garden. Children love getting their hands dirty and can be a great help when it comes to planting vegetables and watering the flowers. Child friendly gardens are becoming increasingly popular among parents who want to spend more time outdoors with their kids – making safety a top priority. And they appreciate the importance of creating a natural playground for kids too. If your garden has been taken over by weeds and wayward trees, then it’s worth devoting a day to cutting all the branches back and neatening it up, creating an open space that is easy to maintain and more importantly, safe. 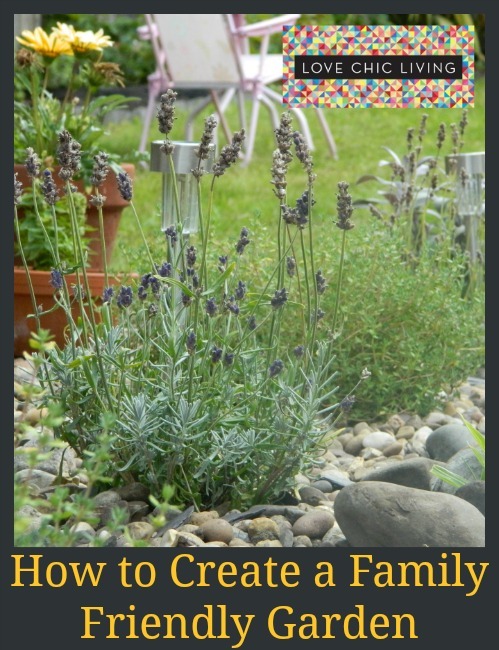 Arm the kids with gardening gloves to tackle the smaller bits and turn it into a family challenge. Once you’ve tidied up, it can be great to separate your garden into different areas. For example, a patio with a table and chairs can prove a fantastic place for the grownups to unwind at the weekend with a barbeque at their side. A small patch of grass nearby isn’t always enough to keep the children entertained. If you have the space, position tall plants to create a little bit of wild in your garden – allowing the children to play and explore, hiding from one another among the greenery. A designated area for raised flower beds can be perfect for a fresh start and can help to create a wonderful haven of nature and a personal touch. You could even allocate a small section to the children. Kids love to feel as though they’re in charge and so watching over them while they exercise a bit of independence can really help them to learn about gardening by getting stuck in. Growing vegetables at home is becoming increasingly popular, with many parents keen to know just what is in the food they eat. It’s also extremely satisfying to know that the food on the table is something you made yourself. A pond has the power to brighten any garden, creating a hub of activity and allowing nature to thrive, but when you have small children, safety needs to be taken into consideration. There’s no need to rule out ponds altogether though, as the Blagdon Affinity Pond Pillar has been created with child safety in mind. They are feature ponds and rather than being submerged at ground level, they are free standing to prevent children from falling in. Placed in the centre of a seating area, they can create a fantastic focal point and a relaxing place to gather when entertaining friends. The side windows allow children a sneak peek of any wildlife you have living inside. When buying a pond it’s important to invest in a pond pump and filter to maintain water quality and prevent the build-up of algae. Blagdon already have this covered, with all the necessary equipment included, saving you the trouble of finding compatible products.